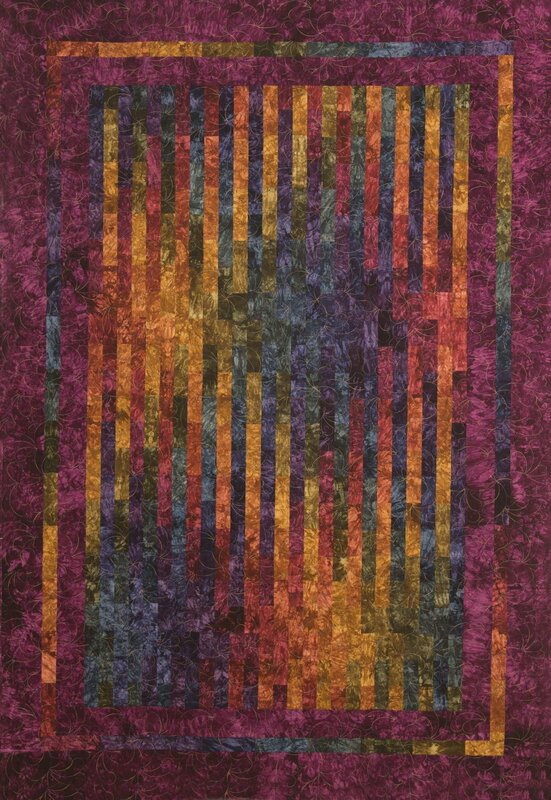 Shock Wave is an easy quilt that is constructed using the strip piecing method. We offer this fun quilt in multiple sizes that are kitted in the colors shown or you can easily design your own color way using out Fat Quarter Bundles or Dye-It-Bite 8 packs. The new sample shown on the right reflects the colors in this kit. The sample is done in the Lap size and the colors used are the 12 Pack called Fall Fever.